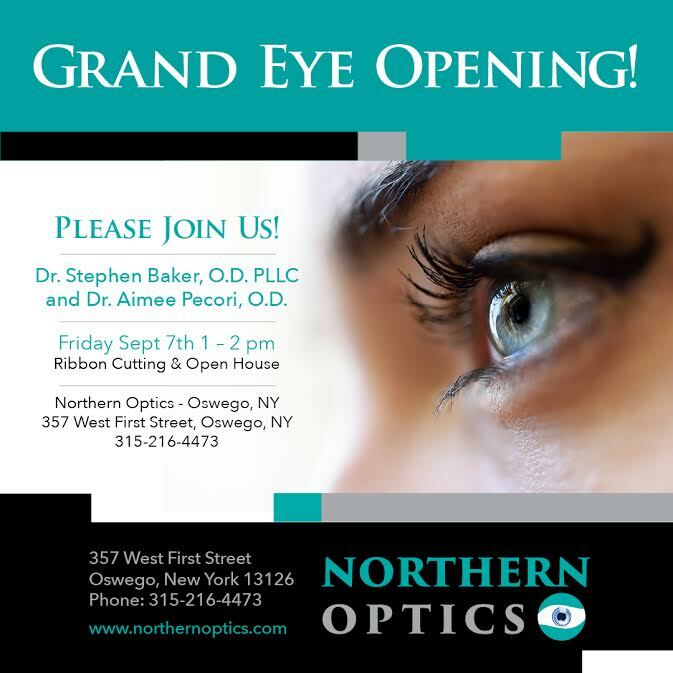 OSWEGO, NY – Answering a long-awaited demand for comprehensive family eye care in the port city, Dr. Stephen Baker is excited to announce the grand opening of the Northern Optics optometry office in Oswego, NY on September 7. Having provided expert eye and visual care in Oswego County 15 years in Oswego for the past 5 years in Watertown, Baker and partner Dr. Aimee Pecori will now offer state-of-the-art techniques and equipment at their new Oswego office. Together, they will test for and treat macular degeneration, glaucoma, cataracts, and provide other treatments including optical coherence tomography, macular pigment density testing, automated visual field analysis, fundus photography, and address retinal and corneal conditions. Fully furnished with a professional, modern, welcoming, and relaxing decor, with a wide range of top-grade services and equipment, the new office offers a highly conducive environment for eye health, recovery, and healing. Additional key treatments will include vision therapy for children with learning-related vision problems and adults and children with binocular difficulties, including strabismus and lazy eye. The team is also proud to provide post-concussion therapy including syntonics and focusing training to assist patients in recovery, and will offer same-day emergency eye-care services for infections, foreign bodies, eye pain, and sudden vision loss. 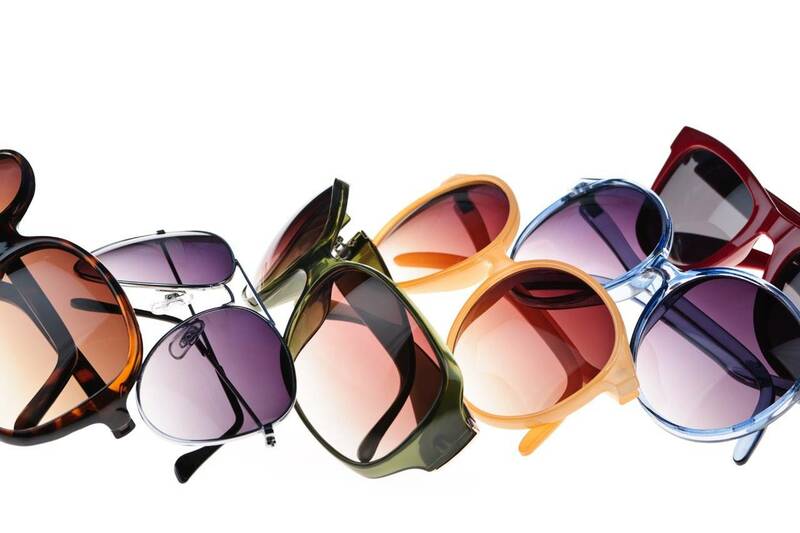 Beyond treatment, the spacious and modern optical center offers the latest eyewear styles including Ray Ban, Dolce and Gabbana, Marc Jacobs, Jimmy Choo, Nike, Lacoste, and Banana Republic. The office accepts almost all vision and medical health insurance plans including Medicare, BCBS, Aetna, Tricare, United Healthcare, UHC Community Plan, Fidelis, Davis Vision, Vision Service Plan (VSP) and Eyemed. “We entered this profession to help people repair and improve their most important sense, the sense of sight – and this office affords us a first-hand chance to give Oswego our very best in eye care,” said Baker. Baker received his Doctorate degree from the University Optometric Center in 2002, specializing in vision therapy and general practice, completing externships at the Montefiore Medical Center in the Bronx and the Syracuse Veterans Affairs Hospital. He was certified in 2004. His partner, Pecori, is originally from Maine and now lives in Watertown. She graduated from the New England College of Optometry in 2012 and specializes in the latest techniques and treatments for dry eye and other anterior segment diseases. The Northern Optics grand opening is September 7 at 1 p.m. at the new office at 357 West 1st Street, in Oswego. For more information on Northern Optics and how our services may help you with vision therapy, emergency eye care, and post-concussion therapy please visit our website atwww.NorthernOptics.com or follow us on Facebook.